See how many platforms you can land on before you run out of fuel. Use the arrow keys to maneuver your candy-ship. 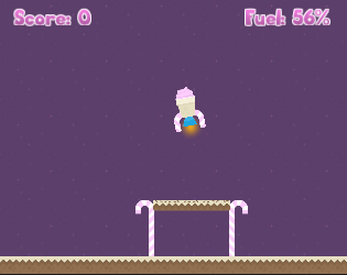 Made in 5 hours for Candy Jam by @GaudinoGames. Thanks to Kenney.nl for the art assets!